Located just outside the much larger city of St. Petersburg, Madeira Beach has a population of just over 4,000. However, that doesn’t mean people aren’t still flocking to the area for a peaceful beach getaway. Situated on the coast of the Gulf of Mexico, the area mostly consists of residential properties, and many of those who live in the area are retirees. If you’re interested in seeing all that this small region has to offer, including warm weather and beautiful beaches, Vacation Rentals Siesta Key has plenty of vacation rentals in Madeira Beach to show. Vacation Rentals Siesta Key can happily help you find beachfront vacation rentals in Madeira Beach that will be perfect for you. There are 2 bedroom, 2 bathrooms options with pool access, as well as rental options that are walking distance to the most celebrated area attractions. Vacation villas for rent in Madeira Beach will allow you to kick back, relax and enjoy everything the town has to offer without the hotel hassle. 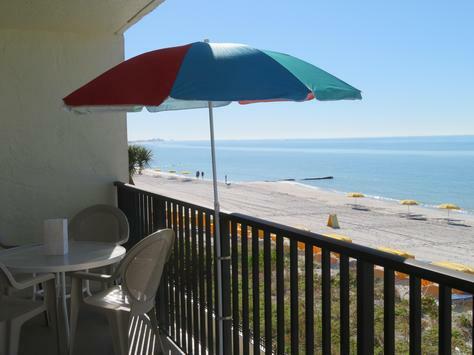 Just allow Vacation Rentals Siesta Key will help you find the right beachfront condo rentals for your Madeira Beach vacation. Vacation Rentals Siesta Key has solidified itself as one of the top property management companies in Madeira Beach, FL by working closely with clients who offer up their space as a vacation rental in Madeira Beach. If you have a home, condo, or townhouse you would like to rent out, we would love to add it to our list of vacation condos for rent in Madeira Beach. We can get your property in front of the right renters and help you keep it in pristine condition below, during and after their stay. Vacation Rentals Siesta Key offers excellent home watch services in Madeira Beach. Through these services, we will look after your home when you’re out of the area and make sure it’s secure and well maintained at all times. We can clear debris from outside, let contractors in to do work, and simply drive by every now and then to ensure everything looks OK. It will give you peace of mind to know your Madeira Beach vacation home is always in good hands. Whether you want to find beachfront vacation rentals in Madeira Beach with the help of Vacation Rentals Siesta Key or to use our home watch services when you’re not around, simply give us a call at 941-894-2746 today.